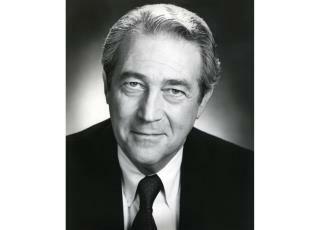 (Newser) – James Karen, a prolific and beloved character actor whose hundreds of credits included memorable appearances in Poltergeist and The Return of the Living Dead, has died. He was 94. Karen's friend Bruce Goldstein tells the AP that he died Tuesday at his home in Los Angeles. He had been battling respiratory ailments. Few actors had so long and diverse a career. He appeared in Elia Kazan's 1940s stage production of A Streetcar Named Desire, which starred Marlon Brando. He befriended Buster Keaton in the 1950s and had a brief role in one of the silent star's most unusual projects, Film, an experimental short written by Samuel Beckett. He met Marilyn Monroe at the Actors Studio in New York and filmed a commercial with the Three Stooges. translation: professional liars live long and prosper for reward. Loved him in so many things. Rest in peace, awesome fellow. I hope no one moves the headstones.